Northeast Florida's largest weekly automotive publication featuring new and pre-owned vehicles for sale by the areas top dealerships. 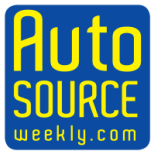 Auto Source Weekly is distributed free in hundreds of convenient locations as well as online, combining high quality print with the latest technology. Each vehicle is sorted in our exclusive "printernet" format and features an individual QR code bringing the shopper directly to all the information on that specific vehicle with one scan. Search thousands of local used and new vehicles in print and online. Pick up a new copy FREE every Friday at any Circle K, Gate Gas Stations, Shell/Daily's, Advance Auto Parts, 7-11, Walgreens, Bojangles and hundreds of other locations throughout the First Coast from Southern Georgia to Palm Coast. Our full color, glossy magazine sorts vehicles by make, model & price, just the way you shop! We also feature the areas largest selection of vehicles priced under $10,000 sorted by price for any budget! We call it "Printernet". You will call it the "Quick Guide to Your Next Ride!" Owned and operated locally, we support local jobs and businesses and are proud of the loyal readers and dealers we've served for over 13 years in the automotive business! Copyright ® 2018 Auto Source Weekly.com, all rights reserved.